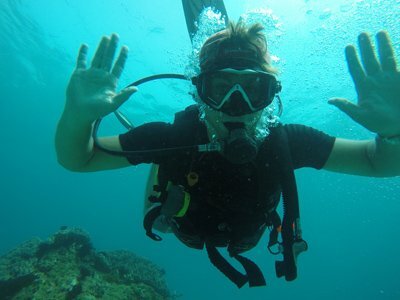 Spend 7 months in Bali, learn to scuba dive and become a PADI Instructor! If you are looking for that dream job then look no further. The PADI Instructor rating allows you to explore the underwater world as a professional. Earn income, explore the world and dive in some unbelievable places. The Zero to Pro Internship options take you from a complete beginner to the PADI Instructor Level. Blue Season Bali’s’ Zero to Pro Instructor Internships takes up to 7 months and will not only get you certified as a PADI Instructor, but give you the experience you need to safely and competently teach courses and lead divers on their undersea adventures. 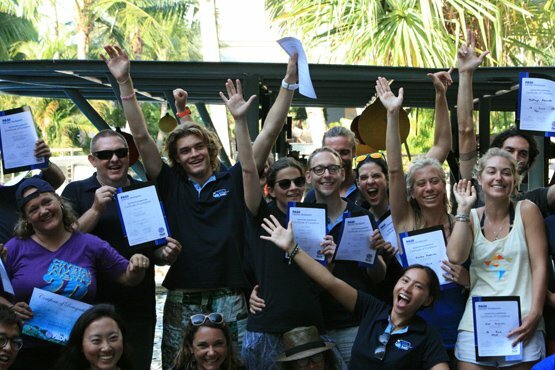 Ready to sign up for your PADI Instructor Internship today? EFR Instructor manual and Application fees. All certifications and PADI manuals for all courses. This is a once in a lifetime changing experience. We will train you all the way to become a dive professional, and you will spend 7 months with our team learning how to dive, how all the tricks to the job, perfecting your dive skills and dive knowledge until you are ready to become a PADI Open Water Scuba Instructor! Everything that you need is basically included in our package, including even your dive equipment! During your time with us, we will first teach you how to dive, then have you perfect your skills until your Divemaster course is completed and you can confidently guide certified divers in the ocean. Of course our team of experienced instructors will be on your side during your whole time with us to help you build your skills, your confidence and your teaching abilities. Once you are ready and you have been a diver for over 6 months, you can then enroll into the Instructor Development Course and become a PADI Scuba Instructor!!! Included in your package is a full set of scuba diving equipment. Have a look at our equipment packages here . What's next? Check out our Bali Internship experience pages!